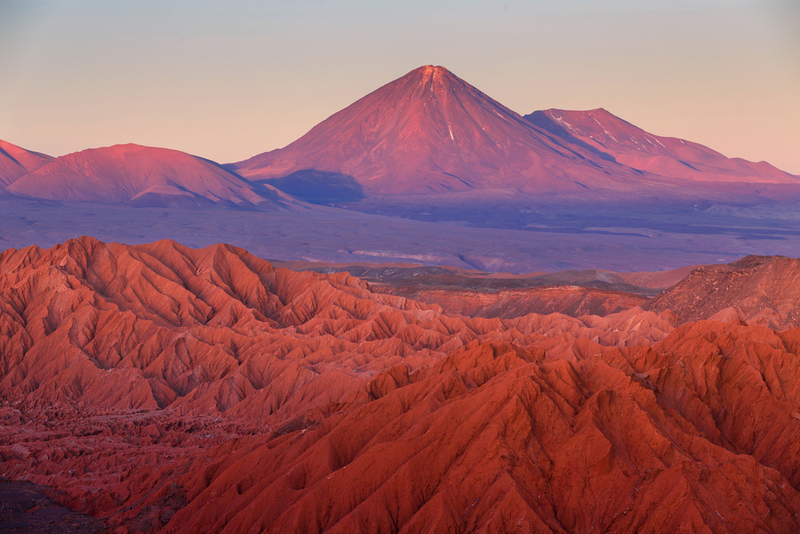 From the dramatic landscapes of the Atacama Desert in the north to the mesmerising fjords in the south, Chile’s Best Highlights represent the wilderness diversity which makes it one of South America’s most incredible surprises. As one of the world’s most geographically diverse countries, Chile offers adventure seekers an exhaustive list of thrills. This peculiarly long and narrow nation, snuggly cradled between the Andes and the Pacific Ocean, is one of South America’s most rewarding destinations. Its small and compact size means that you can zigzag your way through, from north to south, swiftly and efficiently. You can actually squeeze an impressive amount of adventure, and experience some of the continent’s most impressive treasures, in just mere weeks. A land of natural extremes, exceptional local food, gorgeous cities and friendly locals, Chile packs such a powerful punch that if it isn’t at the top of your South America must-visit list already, it certainly will be in about 2.3 minutes. You may know that the Atacama is the driest desert on earth, but you may not know is that it is also a place filled with immense beauty and with unexpected life. This otherworldly landscape is made up of deeply carved salt-crusted canyons, golden sand dunes and maze-like cracked red earth. It hosts colonies of flamingos in salt-enriched lagoons, boasts an inspiring high-altitude geyser field, and dishes up breathtaking sunsets each and every night. And the magic of the Atacama certainly doesn’t end when the sun sets. As one of the world’s best stargazing destinations, Chile’s Atacama Desert is one of the most visually spectacular places you will ever visit. Nothing could possibly contrast with the Atacama the way that Chilean Fjords do. Bursting with verdant nature and endless fields of ice, the Chilean Fjords of Tierra del Fuego cover just under 3% of the country’s landmass and comprise channels, precipitous fjords, snow-covered peaks and glaciers that are incomprehensibly extensive. This is where you’ll experience nature at its most uninhibited, a place which undoubtedly leaves an impression on every soul who visits. On an expedition cruise ship, you’ll navigate through the Beagle Channel, brushing past vertiginous granite cliffs and stunning glacial waterfalls. You’ll be sailing through a stupendous mirror of floating ice blocks, wishing your trip would never end and wondering how it could be, that merely 12,000 years ago, all of southern Chile looked like this. 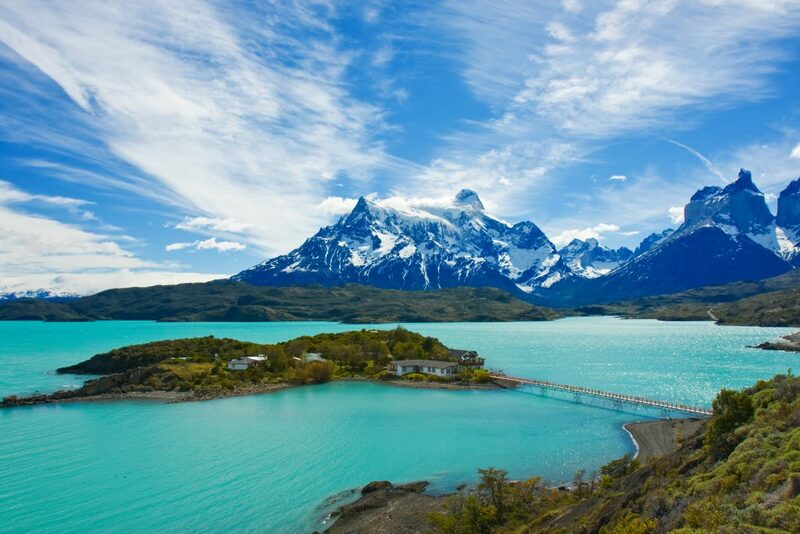 One of the most iconic images of Patagonia, and one of its most elusive thanks to the unstable weather, Torres del Paine and its majestic multi-peak silhouette is one of the most coveted and unforgettable sights in the entire continent. The homonymous national park in which the Paine Massif is found, is awash with granite mountains, turquoise lakes, rivers and glaciers, and offers a plethora of hiking opportunities for the adventure-seeking explorer. The world is harsh and stunning in equal measures down here, but the rewards are infinitely worthwhile. Just one look at those peaks reaching up to the gods and you’ll no doubt understand why this is one of the world’s most spectacular places. 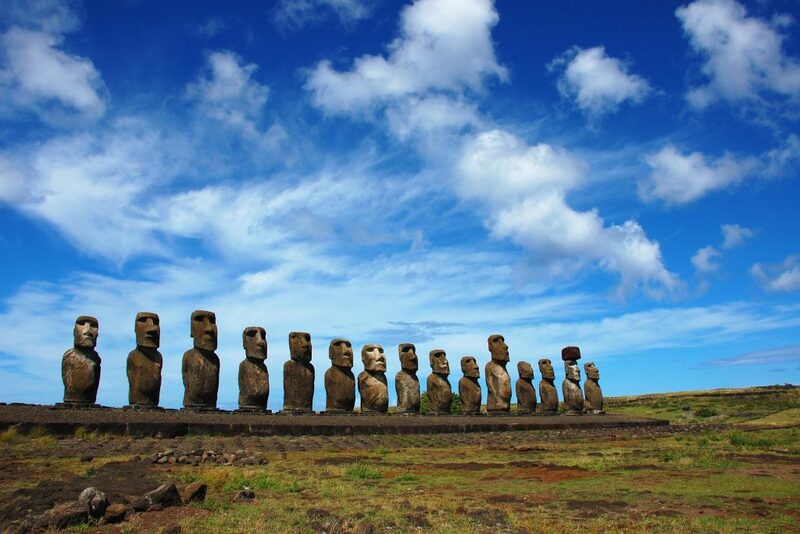 Inhabited by Polynesians for thousands of years, remote Easter Island is one of Chile’s most enigmatic highlights. Revered for its hand-carved Moai stone sculptures which date back more than 500 years, the entire island – and its 880-odd statues – is now under UNESCO protection, rightly so. Direct flights from Santiago will have you on Easter Island in about 5 hours, and considering the sheer number of statues to admire and cultural museums to visit, you should plan to spend at least 3 nights here. Wonderfully disconnected from what seems like the rest of the world, not only mainland Chile, Easter Island is a unique and inspiring place to visit. 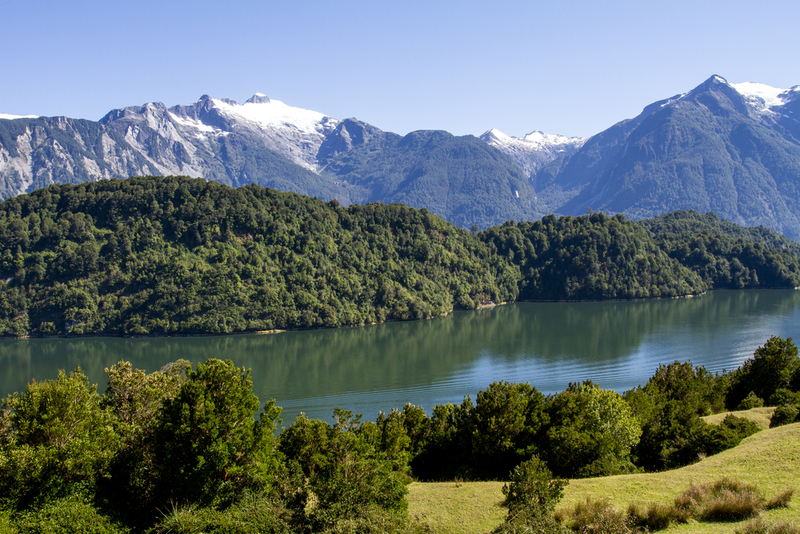 Chile’s Lakes District has been attracting Alpine mountaineers for over a century. Back in the day, they came from Germany and Austria to farm on the familiar-looking landscapes, yet nowadays, alpinists come in search of the ultimate adrenalin rush. Stretching for more than 300km, all the way from Puerto Montt to Temuco, the Lakes District of Chile is as magnificent as it is pure fun. Skiing, white water rafting, canoeing, kayaking, hiking and volcano climbing are just a few of the activities on offer on these Andean foothills. Pucon is the adrenalin hub you’ll want to visit, and stay awhile. 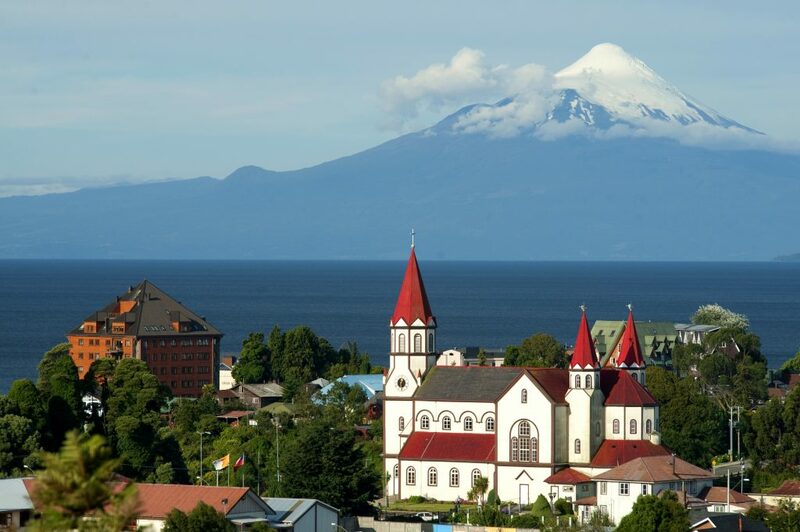 Right on the base of Villarica Volcano, this charmer of a town is framed by snow-capped peaks, temperate forests, lakes with their accompanying glorious beaches, and enough natural thermal springs to soothe all your aching and overstretched muscles. If you think Chile is only about natural treasures then you will be more than pleasantly surprised. Aside from quaint countryside villages and towns, Chile also does the ‘big smoke’ enticingly well. 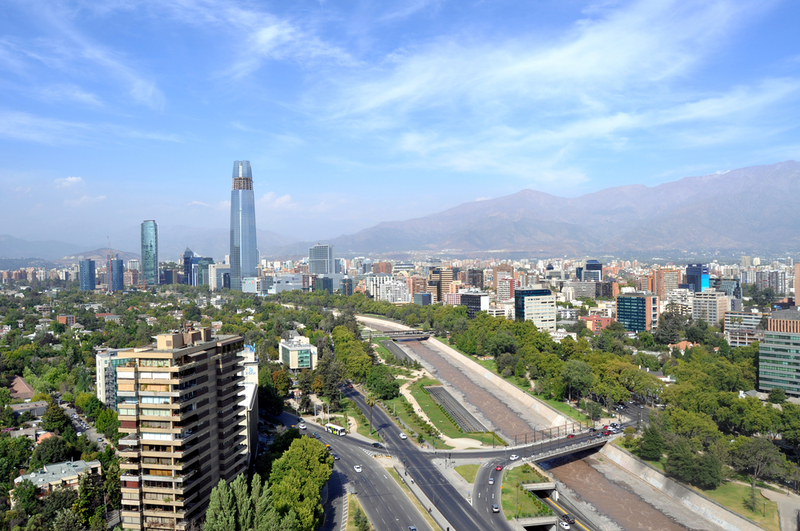 Santiago is a seriously beautiful city, it sits in a deeply carved valley and is framed by high Andean peaks, often visible between the city’s high-rise office buildings as they beg for your attention. The city offers an amazing choice of food – perhaps the best in all of South America – and boasts enough museums and shopping to keep you in town for a few days at least. On top of all this, you have a world of activities right at your doorstep. The award-winning vineyards of the Maipo Valley are just south of the city centre, and on either side, you’ll discover some of the best skiing and snowboarding slopes in the whole continent. In summer, these become a maze of exceptional wilderness hiking trails, more in sheer number than one could ever follow in a mere lifetime. So don’t just see Santiago as a springboard to discover Chile’s best highlights: appreciate the fact that you are in one of them. As the country’s cultural capital, this is a city well worth getting to know. Our list of Chile’s best highlights is by no means exhaustive. For every celebrated treasure there are hundreds more to be discovered. Plus, as with all memorable travel destinations, Chile manages to pack in a wealth of ‘added extras’ along the way. No matter which of the best highlights you want to fit into a tour, you’ll taste some of the best wine in the world, indulge in world-class gastronomic delights, and have the option of visiting some lesser known yet equally amazing national parks, like the extraordinary Lauca National Park, brimming with wildlife, pristine wilderness and drop-dead gorgeous scenery. When it comes to planning a tour through Chile, the only difficult part is deciding when to go. Once you take the plunge, this magnificent country will shower you with incredible experiences and unforgettable travel memories. Contact us for more info. And let Chile do the rest.